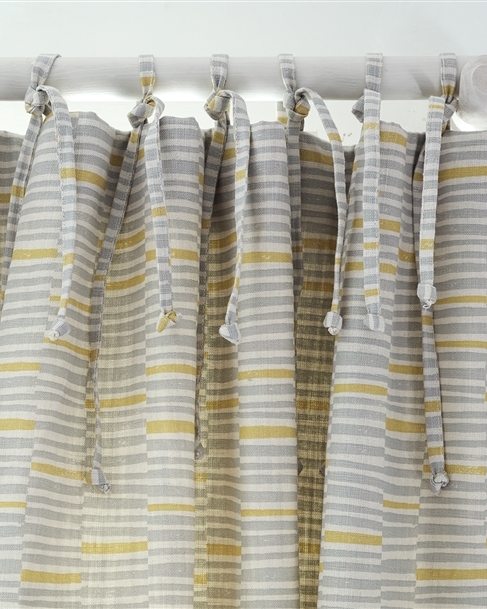 Can you make Made to Measure blue curtains? 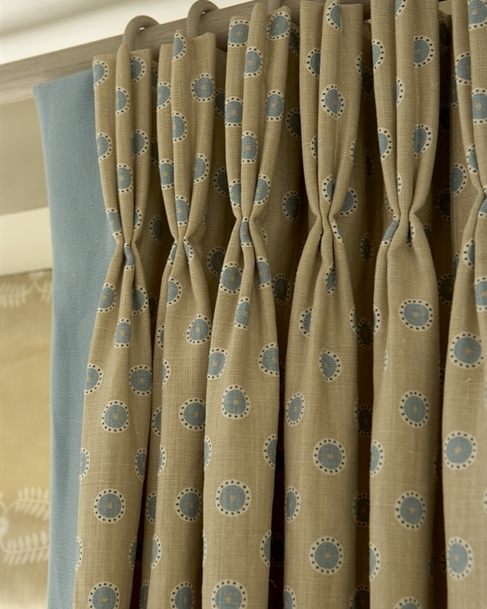 We can make Made to Measure blue curtains using our designer fabric to your exact requirements, to fit any window size or style. 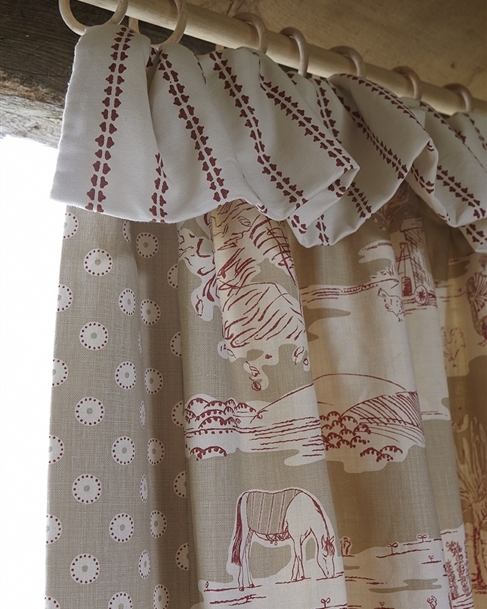 Each of our bespoke curtains can be beautifully made for you by professionals in our traditional workshop based in the UK. They are hand finished with great care and attention and delivered to you well within eight weeks. 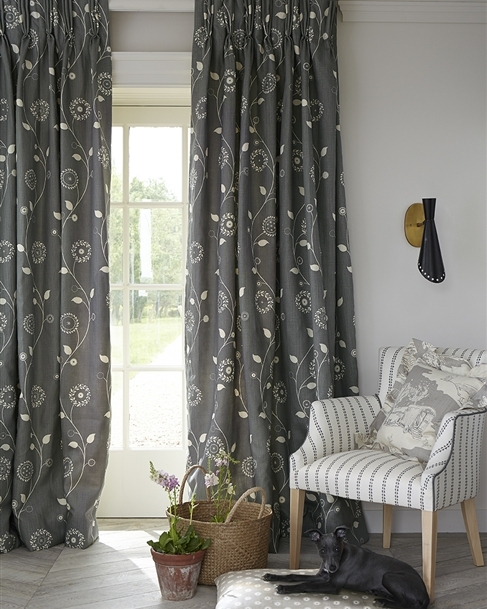 You can find a useful video talking you through how to measure up for both curtains and blinds by clicking here. 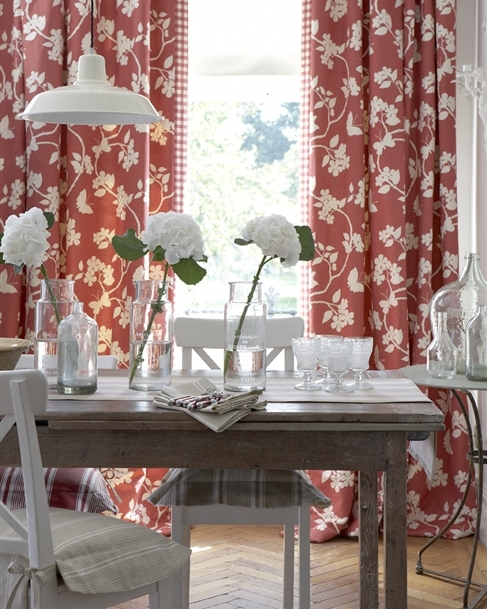 When it comes to choosing blue curtains or blinds it's a matter of colour and fabric, length and lining. 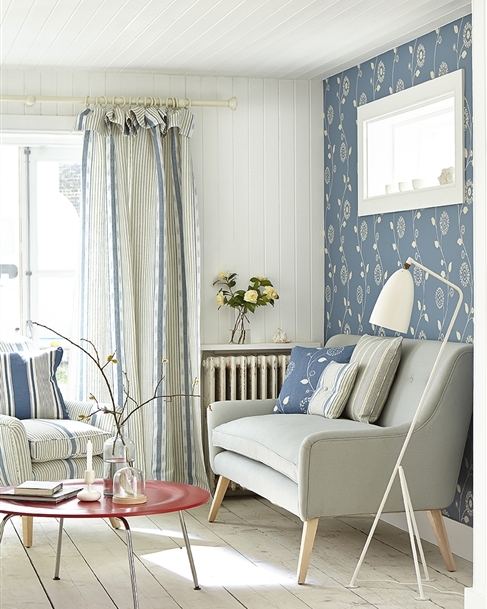 Which shades of blue do you have in your fabric range for curtains? Blue is a favourite colour for many people and is the most preferred by men. It calls to mind feelings of calmness and serenity, research has shown that people are more productive in blue rooms! There are of course many different shades of blue as with all colours; from the cooler shade of Cornflower and Indigo to the softest shades of Sky Blue and Speedwell. Cornflower has a 'blue jeans' tone and more of a presence, looking wonderful in a larger room and hallways. 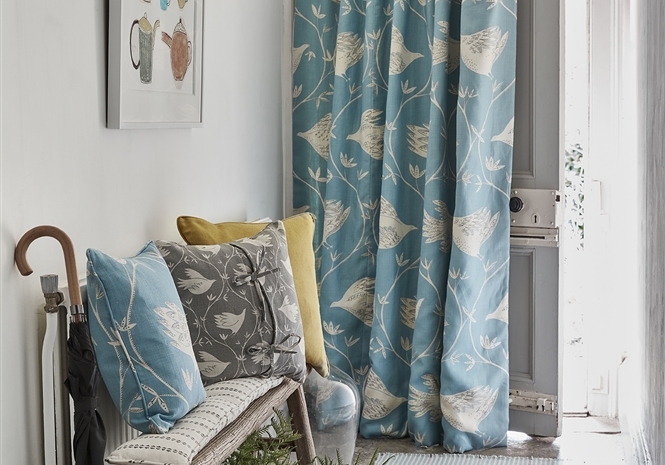 My Teal blue is a warmer blue with a little bit more yellow duded in turning it towards the greens and making it a popular choice for blue curtains in day rooms such as a kitchen: Up the Garden Path, Bird Hop and Wild and Free designs all come in this colour along with stripes and spots to coordinate. Next comes a lighter tone and my favourite, a Chinese blue called Powder Blue. 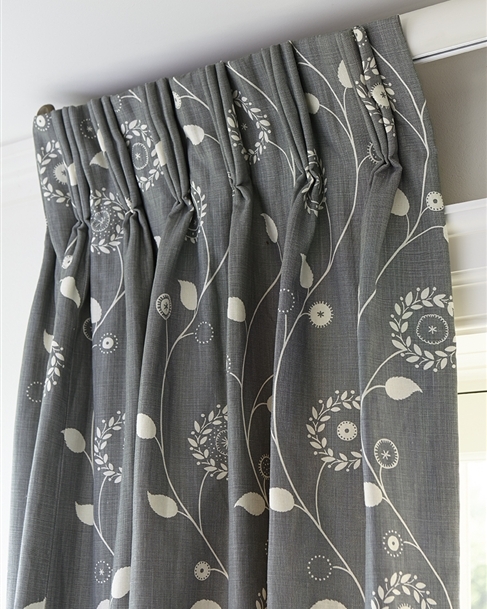 My Speedwell, Slate and Sky Blue are soft and gentle tones making pretty blue curtains for a bedrooms and bathroom especially exemplified in Fern and Dragonfly and my first ever design Feather and Egg. I have added a little yellow to my Speedwell...see my 'In Full Flight, Pretty maids and Fruit Garden designs. 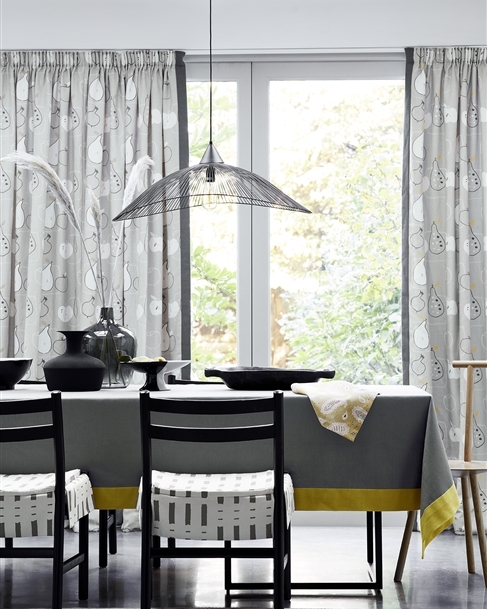 For very soft grey blues, we move into the ever-popular Duck Egg. This colour is quite hard to describe but wonderful to live with. 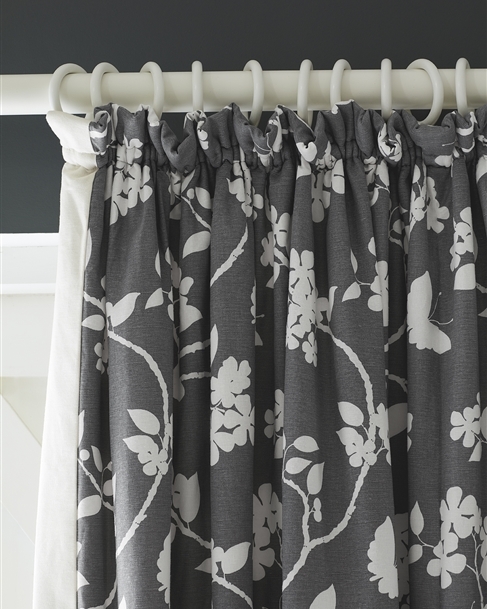 My Cow Parsley print is the most popular in this shade. What other colours do blue curtains go well with? There are many other colours you can team blue up with: namely Saffron yellow, Raspberry red, Tangerine and Pumpkin orange and Damson pinks. These are all warm colours which to compliment the cooler blue so well. 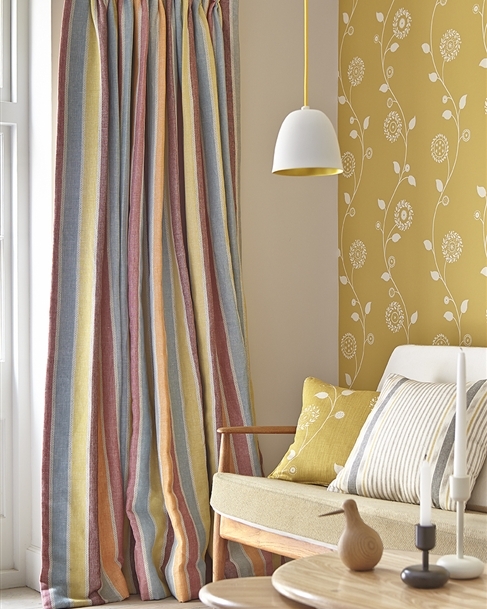 We combine these colours already for you in the following designs in particular: Dawn Chorus, Pretty Maids, Stockholm Stripe and Lapland Stripe. 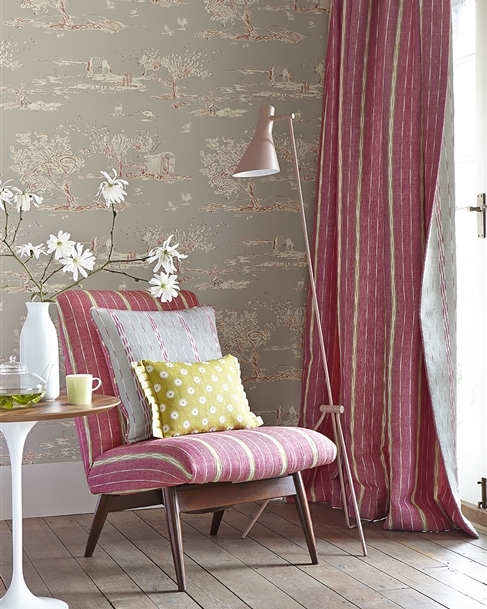 You can also add in the second colour through upholstered furniture, cushions or even in a fabric covered lampshade or bed quilt. All these we can make for you in our Made to Measure service.